After giving enough time for CES-goers to recover from a long week of gadgets, Apple hosted an event today at the Guggenheim museum in New York City that focused on education, and they announced updates to a few of their digital products. In a way to “reinvent the textbook,” iBooks 2 was announced, which brings textbooks to the forefront for high school students at an attractive price: $14.99 per title. Each textbook will be able to display in a text-heavy portrait mode or a more pictured-oriented landscape mode. There’s also the option to have pop quizzes appear randomly throughout the textbook to make sure the student is comprehending what he or she is reading. Annotations is also a big feature here. You can add stickies to individual pages and aggregate them into digital 3×5-inch note cards. 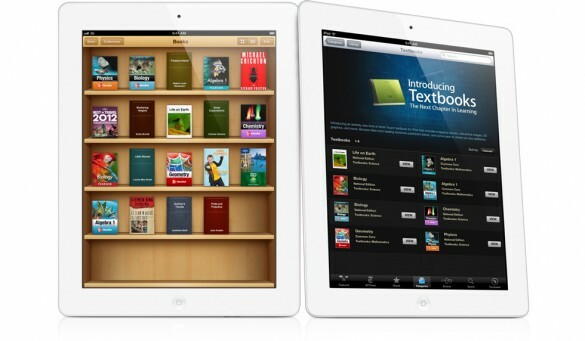 Apple has partnered with Pearson, McGraw Hill and Houghton Mifflin Harcourt. Those three publishers alone are responsible for 90 percent of all textbooks sold. The iBooks 2 app is up in the App Store and ready for your free-downloading pleasure. Along with the new iBooks is something completely new: iBooks Author. It’s a free Mac OS X Lion app that’s available now. iBooks Author allows you to create your very own books. The process to make such books seems quite easy – you’ll have the ability to drag and drop photos, videos and even Microsoft Word files into different templates. Publishing your book to iBooks is a lot like publishing an app to the App Store. You have to go through the rigorous approval process and must split the revenue 70/30 with Apple. Keeping on the theme of education, Apple implemented a major facelift on iTunes U, bringing in full online courses for students. They will be able to see the class overview, the syllabus, credits and even the professor’s office hours. The app is integrated with iBooks, so that with a tap of the finger, you can view your coursework and mark it off when its done. Several universities are in on the fun, including Duke, MIT and Yale. The iTunes U app is available now in the App Store for free.